The Internet has revolutionized the way we shop. All it takes is a few clicks of the mouse, to get products delivered to our doorstep. 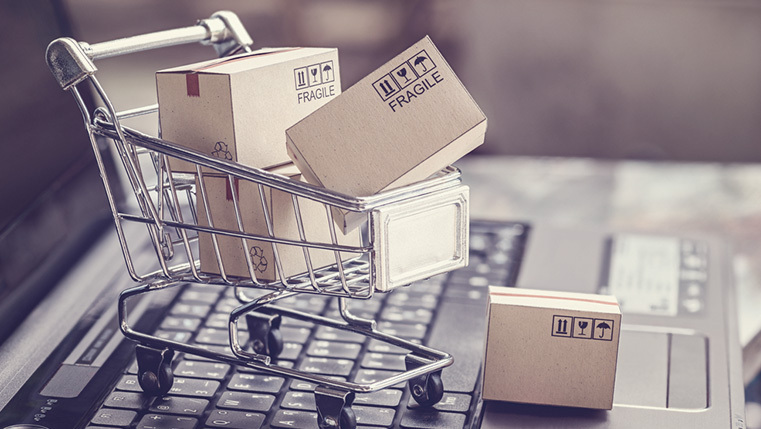 This growth in e-commerce has helped retailers connect with potential customers across the globe. But does this mark the end of the brick and mortar retail store? No, because if it had, we wouldn’t be seeing an increase in the number of branded stores in shopping malls. Consumers today are more aware of brands, and retail stores provide the much-needed tactile experience shoppers look for. This also means that training programs for employees in the retail industry need to be in sync with changing consumer-demands. Each of these training programs are interrelated. For example, the sales personnel in your retail store might have excellent product knowledge and customer service skills, but if they do not know how to close a sale, then revenue takes a hit. Instructor-led training (ILT) for these diverse training programs is a great solution, but is it viable? Read on to know more about the training challenges faced by the retail sector and the online training solutions for them. Front-line employees in the retail industry are the ones in direct contact with customers, and have the capability to influence buyers’ decisions. Have you ever walked out of a store without buying a product, just because the retail associate did not take the effort to show you the different options available? I certainly have, and I am sure there are many others like me. Employees in the retail industry are expected to possess a variety of skills. They need to be aware of the latest products in the store, possess good customer service skills, and also need to know how to sell the products. It is not practical for retail employees to spend long hours on training programs. And if a retailer owns a chain of stores, which is usually the case, how is it even possible to plan for classroom training? Even if classroom training programs are conducted, it is not possible to reinforce concepts regularly by taking employees away from the store. And that’s where e-learning can help. One of our clients from the food retail industry faced a similar problem. Though employees were trained regularly on the food safety practices through classroom training, reinforcing training was a problem. Not following food safety practices could cost the organization its reputation. Solution: Our client wanted an online training solution that could enhance the classroom training program and provide training reinforcement. The mobile learning solution that we implemented let employees learn anytime, anywhere. For retail industries looking to train or retrain employees on different skills, online training solutions such as e-learning, mobile learning, and microlearning provide the perfect answer. According to a study by Marshall Fisher, a professor from the University of Pennsylvania, 50% of shoppers seek advice when they enter a store. That’s why it becomes essential for retail industry employees to be aware of the products that are available in their chain of stores. If employees have to wait for classroom training to get familiar with new products, it might take a few weeks or even months. Solution: With an online training solution, it’s easier to rollout product training to employees in the retail sector without waiting for formal classroom training. The retail industry faces a busy time during the holiday season. So, retailers hire seasonal workers, mostly students and interns who work during the holidays and leave after a couple of months. But, even in the case of seasonal workers, some amount of training is required. If you are involved in training employees in the retail industry, you know that if you had to conduct classroom training, you are going to be repeating the same training a couple of months later, for a different set of interns and part-timers. Solution: Investing in an online training solution makes perfect sense. When you have a new group of seasonal workers to train, simply put them onto the e-learning program that covers the basics of what they need to know. Every company deals with employee turnover, but in the retail industry the workforce churn is much higher. It’s a loss to the company when employees leave, taking their knowledge and experience with them. Classroom training cannot be the only solution to provide continuous learning opportunities. Solution: Online training solutions can be used to provide effective onboarding and continuous learning opportunities. In a survey by Fortune, part-time retail employees who reported positive views about the training opportunities they received, were likely to look forward to coming to work each day. When employees value the training opportunities you provide, they are more likely to stay loyal to the company, reducing employee turnover. Most organizations today are going global, and so is the retail industry. For retail industry employees who communicate in their native languages, receiving a training in English is not very effective. But then it’s not feasible to deliver classroom training frequently, that too in different languages. Solution: An online training solution in the form of translated e-learning courses can make a world of difference to employees in the retail industry. When training is delivered in the native languages of learners, there is better comprehension and retention of knowledge. What are the training challenges you face in your industry? Have you tried online learning solutions to resolve them? If yes, share the benefits you have observed through the Comments section.